From Campaign Together: “Campaign Together is a grassroots movement of people from all political parties and none that want to stop the Tories from winning the next election. 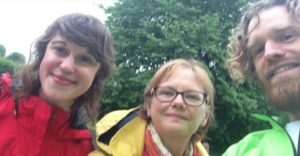 Last year, we flipped two seats away from the Tories and helped to elect left-wing candidates in Bristol and Oxford. We bring together people who want to stop the Tories and use political science, community organising and tactical voting to spread the message about which party can best stop a Tory government. “We use ‘big organising’ techniques which means instead of relying on massive staff teams we distribute tasks across a network of volunteers. “A General Election is closer than ever. 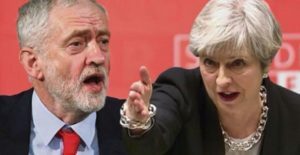 Theresa May’s Brexit deal is collapsing and Jeremy Corbyn is calling for the public to go to the polls. Now is our chance to stop the Tories. “If we are going to stop them, we need to get organised and we need to Campaign Together. “I’m Dr Bob Gill, a family doctor and NHS campaigner based in South East London. “Over the last few years I have become aware of creeping privatisation in our National Health Service. There has been a concerted effort by consecutive governments to convert our NHS to a profit driven private health insurance system. “In 2014 I co-produced a film, ‘Sell Off – The Abolition of your NHS’ which explained the dismantling of our health service. It has been shown at screenings around the country and been well received by audiences, judging by the feedback at over 50 such events I have attended in the last 18 months for Question and Answer sessions. “I’ve had many requests to make another film. Our new project “THE GREAT NHS HEIST” will make clear what is going on and how the final betrayal will play out unless we act to stop the heist of our NHS. “We will explore the measures being taken to drive us to an American-style health system and what is in store for us in a for-profit system. From The Progressive Alliance: “This was a General Election like no other. Together, we’ve been building the new politics. In 41 seats, progressive parties formed alliances. Millions of people are talking about the Progressive Alliance and tactical voting. “We denied the Tories a majority and it’s clear that tactical voting made the difference. “Up and down the country we saw something totally new, people from all progressive parties working together for a better future. 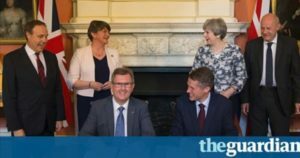 From The Guardian: A crowdfunding campaign has been launched to raise funds for a potential legal challenge to Theresa May’s parliamentary deal with the Democratic Unionist party, on the grounds that it breaches the Good Friday agreement. Lawyers acting for Ciaran McClean, a Green Party politician in Northern Ireland, allege that the pact between the minority Conservative government and the DUP is in breach of both the landmark 1998 Northern Ireland peace deal and the Bribery Act. From The Canary: Jez is a junior doctor who’s had enough of media bias and Conservative-inflicted austerity. With a group of his friends, he’s on a mission to expose what’s really happening to our NHS and our country through an election video of his own. But they first need the public’s support. Jez is an A&E doctor. Along with his friends Gareth (a public sector advisor) and Sam (who works in creative arts), he is crowdfunding to create an election video that exposes the true effects of the NHS crisis. He also aims to showcase the bias of mainstream media outlets, the damage inflicted by Conservative policies, and the problem of wealth inequality and tax evasion. 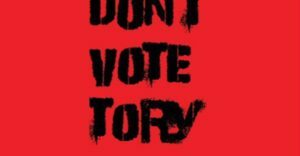 An artists’ collective is placing a bulk order for CHEAP “Don’t Vote Tory” stickers. What could you do with a roll of Don’t Vote Tory stickers?